The Chipper Clipper: B1G1 at Friendly's! 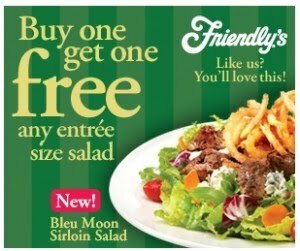 There is a new coupon for BOGO Free Entree Size Salad at Friendly’s. Just head on over to the Friendly’s Facebook page to print your coupon. Coupon is good through 6/30/10.